Homeschool conferences are great places to find information and ideas, purchase curriculum, and fellowship with other homeschoolers. Here my guide to surviving and thriving at homeschool conventions. We attend our local homeschooling conference every year, and I always come home with a bag full of goodies and a renewed passion for home education. It's encouraging to stand in a room full of people who share our values and convictions. I also love learning about new products and getting ideas for our home school. Although many homeschoolers feel overwhelmed at the mere thought of the dozens of workshops and hundreds of vendors at these events, I've found that good planning and preparation can take the stress out of navigating homeschooling conventions. Here are some places you can find homeschool conventions in your area. Send in your registration information as soon as you decide to attend the conference. Some events provide early bird discounts for those who register before a specific date. If you are on a tight budget, you may be able to make arrangements to volunteer in exchange for free admission. Can you bring children? Strollers? Rolling luggage carts? Food and drink? Some homeschool conferences require attendees to buy food from on site vendors. Others have no problems with allowing homeschoolers to leave and return, or bringing their own lunches. Some homeschoolers choose to go with friends or members of their homeschool support group, but I typically take my husband. He's not nearly as enthusiastic as I am about spending money and listening to speakers, but he always brings his wallet and he usually manages to stay awake for at least half of the workshops. Make arrangements for your children. Some event organizers discourage children from attending, but make provisions for nursing mothers. Others welcome the entire family, and even host events geared toward children. If your older children are attending a conference that does not have events for children, bring along quiet activities and snacks, if they are permitted. Make travel, mealtime and sleeping arrangements. Even though our local, two-day convention is less than an hours drive from our home, my husband and I often spend the night at a nearby hotel while our children spend quality time with Grandma. Learn from our mistake, and reserve your room early if you want to take advantage of discounted hotel room rates. My husband and I had to spend twice as much as we should have on lodging because we waited too long to reserve rooms for a regional conference. What do you hope to gain by attending the event? If you need help choosing curriculum, you may want to spend most of your time at vendor workshops where publishers talk about their products and how/why you should use them. 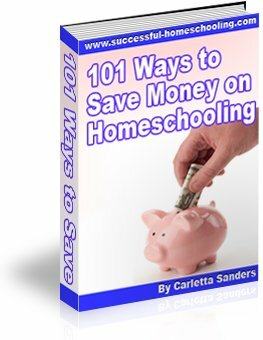 If you've already purchased curriculum, you may want spend your time in seminars where experienced home educators and popular homeschool advocates share ideas and teaching tips. Preview the list of workshops, and look for background information on conference speakers. Highlight the workshops you want to attend. Focus on attending seminars that you feel are most relevant to your stage of homeschooling. Don't despair if you miss a workshop. You can probably hear the speaker next year, or purchase an audio recording after the event. Make sure you have good directions to the event, and bring a map, if necessary. Arrive early, and have plenty of cash on hand to pay for parking and meals. Wear comfortable shoes, and bring a jacket, camera, cell phone, totebag, notebook, pen, water, and snacks, if allowed. Take your time implementing new ideas. Don't burden yourself by revamping every aspect of your home school upon returning home from the conference. Choose 1 or 2 new ideas to implement, and file the rest of your notes away to use later. Remember that the speakers suggestions are only suggestions, and not rules that you must follow. No matter how good their ideas sound, those ideas may not be right for your family. Check out the home school curriculum fair. One of my favorite things to do at homeschool conferences is browse the homeschool vendor fair so I can find new products, look at products I've heard about, and save money on curriculum. You can follow this link to find my tips for making the most of homeschool curriculum fairs.